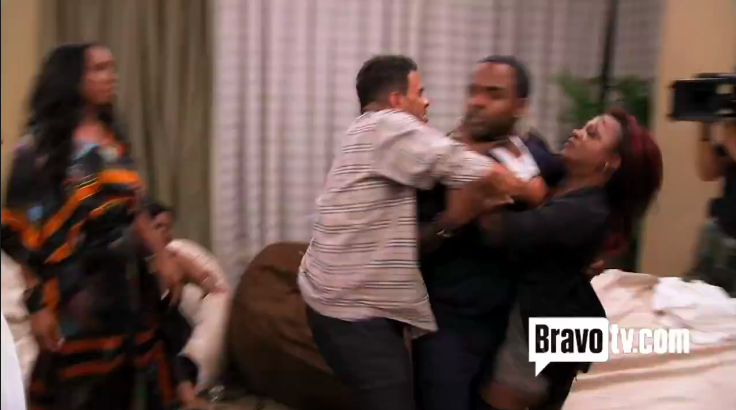 The conclusion of the Pillow Fight episode of The Real Housewives Of Atlanta just aired, and it was a bite full!! 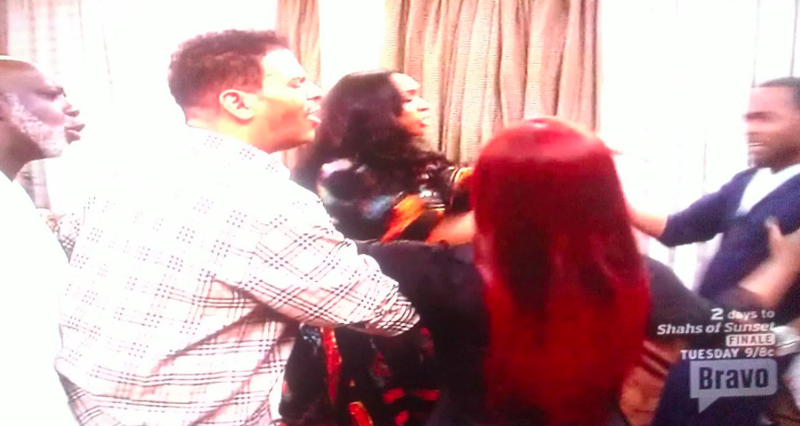 The Peaches Divided episode started out with Brandon (Kenya's assistant) still wondering where and why did Apollo act like Jack in the Box during Kenya and Natalie's argument, but I want to know why was Chuck playing Hide n Seek during this whole tirade? 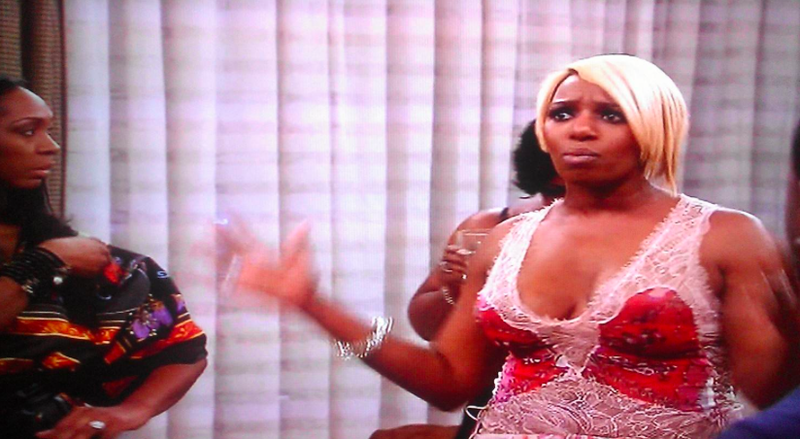 Kenya says "Nene started it... and then when everything goes haywire she just wants to step back and just wipe her hands clean from the situation, but your hands aren't clean, they're full of grease!" Nene turns into Farrakhan, holding a million man march "we are all freakin adults, this is about asking questions and answering them. it aint about getting all crunk with no fists and stuff" YES! 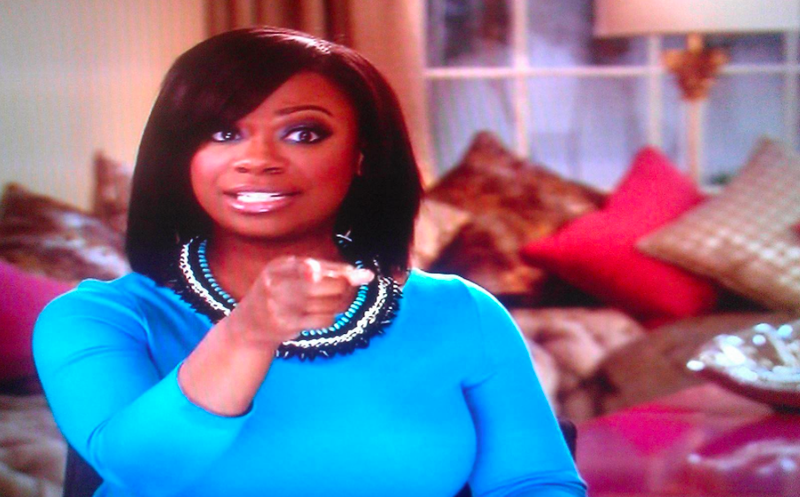 miss hollywood, that don't want to get hood with y'all, said "FISTS!" and she used a double negative on top of that. 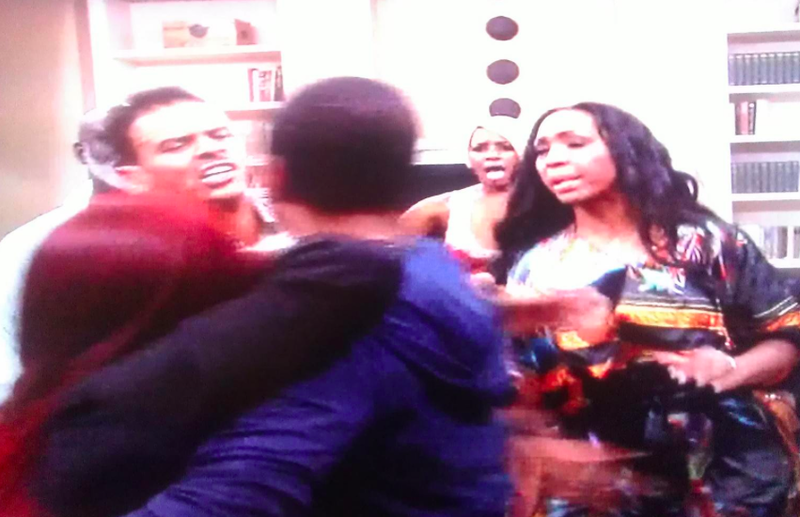 Porsha is in the back of this county fair at the booth, labeled "Fortune Teller," telling the Bravo cams that she "started seeing spirits in everybody's faces...there was definitely spirits that entered their space"
after commercial break, Brandon and his snatched eyebrows, sashays into Kenya's kitchen showing her all of the bruises Apollo gave him the night before, saying that "he was sitting on top of me like a light skinned gorilla just hitting me" and Kenya suggested maybe Apollo had a prison flashback. meanwhile, back at the ranch, Brandon wants everyone to know that he holds the cards, all of the cards ..and even tho he filed a police report and spoke to his attorney about Apollo cracking his ribs and giving him a shiner, 'if it wasn't for Ayden" (Apollo and Phaedra's child,) he would had pressed charges. speaking of little Ayden, looking at pictures of his artwork, the self proclaimed "Southern Belle" is not bothered by the actions that occurred the previous night, but Apollo is like "umm about last night tho" --he explains that Brandon "fell down on the bean bag, and i seen a lot of rage in his eyes so i tried to hold him back" --sekjfh;aoiewuvpoAUE3 -sorry i fell on my keyboard ---UMMMM! i think he's talking about another hotel and episode. because that is certainly not what I seen during Pillow Fight OR Peaches Divided.